Although small and discreet, we can only be enchanted by its beauty. 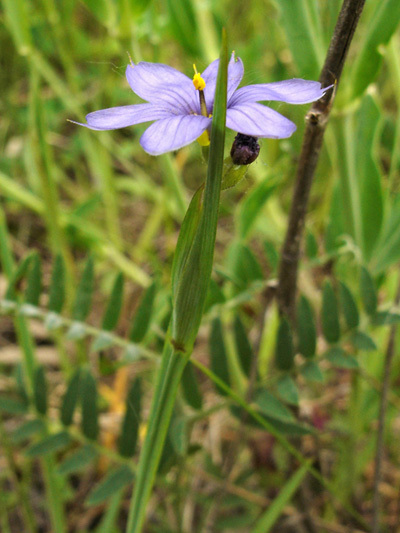 Originally from America, the Strict blue-eyed grass is grown on other continents for its ornamental value. It has naturalized in England and Japan, among others.